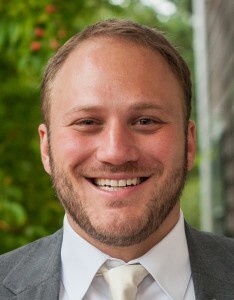 As Chief Editor, Dachman oversees all aspects of SVG's North American editorial operations – including all news on Sportsvideo.org, the daily SVG Insider newsletter, and SVG’s annual print publications – and is one of the primary contributors to SVG's daily coverage of the sports-video-production industry. A member of the SVG team since 2009, Dachman also serves as Program Director for SVG's Esports Production Forum, RSN Summit, Sports Content Management Forum, Sports Graphics Forum, and TranSPORT conference. Prior to joining SVG, he covered local sports for The Patriot Ledger in Quincy, MA, and served on the production staff of SiriusXM Satellite Radio's The Ron & Fez Show. Dachman began his career in the Sports Information department at Northeastern University in Boston, where he earned a BA in Media Communications and Cinema Studies. A native of Denver, CO, Jason currently resides in Queens, NY, with his wife Alyson.